It’s hard to believe now, but two years ago, “influencer marketing” barely registered on Google Trends, receiving just six percent of the interest it does today. When we launched Shopping Links, an influencer marketing platform connecting fashion and lifestyle bloggers and leading international brands, many marketers didn’t know the term. The only way for brands and influential bloggers to connect was through expensive social media agencies, which offered little in the way of reporting. In this environment, measuring the impact of an influencer marketing campaign was nearly impossible. Thankfully, influencer marketing has become far more transparent. Through social metrics, affiliate links, and Google Analytics, we are able to show brands a great deal of data that allows them to measure many aspects of their campaign. 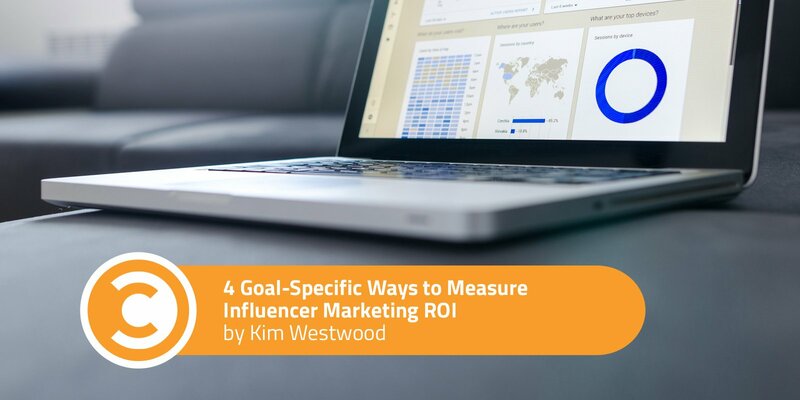 How you measure your own ROI on influencer marketing depends largely on your objective. Although many marketers look first at sales, there are many other benefits to influencer collaborations that can ultimately drive sales. For a brand looking to enter a new market, for example, visibility can become more important than sales tied specifically to that campaign. Likewise, a brand looking to reshape its image can measure success in terms of positive engagement. Other brands are simply looking for content to feed their social campaigns, EDMs, blogs, and style pages. These brands will all approach their ROI differently. Here are four ways to measure ROI based on different objectives. Whether you’re promoting a new brand or introducing a new product, sometimes your primary goal is visibility. For these growth-oriented campaigns, your return on investment is the number of new potential customers who become aware of your brand through the campaign. For your true ROI, it’s important to ensure your impressions are targeted. Influencer marketing allows you to reach the consumers most likely to shop your product by selecting bloggers who closely align with your target audience. We allow brands to see the Google Analytics data from many of our bloggers, which gives them a clearer picture of their demographics and suitability. The cost-per-engagement (CPE), measured in terms of dollars spent per “like,” comment, or interaction such as a video view or click-through, is a valuable metric that brands can use to measure long-term return on investment, since engagement is a good indicator of how consumers feel about the brand, not just the product. In many ways, the engagement metric goes beyond traditional measurements of ROI, which track immediate sales earned from a single campaign, to measure the likelihood that viewers will become brand loyalists. We have seen the CPE for collaborations reach as low as $0.01 (one cent), demonstrating how cost-effective strategic influencer marketing can be. CPE has become a key measure of success for influencer collaborations, as it takes into consideration the value of a consumer’s long-term interest in the brand, not just their interest in an immediate sale. Engagement can include clicks to the website, likes, comments, video views, number of sales, repins on Pinterest, retweets on Twitter, and shares on Facebook, among other social interactions. Content is another benefit of influencer marketing that brands often overlook. Negotiating image rights to an influencer’s content is often far less than the expense of coordinating a photo shoot, and you have the added benefit of a third-party endorsement. This makes content a powerful return on investment, both in terms of savings on in-house content creation and the sales potential and reach generated by the influencer collaboration. Another very valuable use of content is for email campaigns (EDMs). Our clients report seeing a much higher level of engagement, click-through-to-purchase rate, and average order value on EDMs when they include lifestyle content and imagery from bloggers than from EDMs with brand content alone. Now let’s talk about what people usually think of when they hear “ROI.” How do you know what your influencer marketing campaign has returned in terms of revenue to your bottom line? How can you measure your revenue earned versus dollars spent? This is actually easier to track than you might think. Here are four ways to measure your return on monetary investment. Combining your influencer marketing campaign with affiliate marketing is one of the simplest ways to track your ROI in terms of dollars earned directly through influencers. Generating a unique affiliate link for an influencer allows you to track online sales made through their social channels and blog posts. Influencers typically receive commission from these sales. These links will also provide data around the number of clicks to the brand’s website, the number of sales, and the average order value for those sales. It’s important to remember that affiliate links do have some tracking limitations. Sometimes a purchase can occur as many as 90 days after a shopper sees a product on an influencer’s site. Since the cookie duration for affiliate links is normally just 15–30 days, if that shopper buys the product online or in-store, you won’t be able to trace the purchase to influencer content, even if that was what drove the sale. Custom promo codes allow you to track the impact of your influencer campaign beyond immediate sales. As mentioned above, not all consumers will make a purchase immediately upon seeing an influencer’s post, even if the content ultimately inspires their buying decision. In this sense, affiliate links only reveal part of your ROI. Promo codes help you track “down the line” purchases spurred by influencer marketing. Most e-commerce sites like Shopify or WooCommerce will allow you to generate promo codes easily that you can provide to your influencers. Google Analytics is another incredibly powerful tool for tracking online sales. By setting up an “Event” goal, you can see which of your online customers visited your e-commerce site from an influencer’s blog or social channel, giving you a reliable assessment of ROI on e-commerce sales. Working with an Influencer Marketing platform like Shopping Links, you can also see this important metric in the overall results. Our results page also shows you how many people visited a blogger’s website while they were promoting your brand. Isolated marketing is a way to measure an influencer’s impact on sales no matter when or where the purchase takes place. With this method, you select a special “test” product that, for a period of time, you promote only through influencer marketing. Isolating your marketing efforts allows you to track sales throughout the entire funnel, including in-store purchases. Your test will also give you a more complete picture of your consumers’ buying behavior, from which you can better gauge the total sales you’re likely to generate from influencer marketing in future campaigns. The above examples of ROI demonstrate some of the ways to measure influencer marketing’s impact, but they are by no means complete! Influencer marketing also provides the intangible benefits of a third-party endorsement and an SEO boost from the number of organic conversations (and links to your website) taking place around your brand. Although there are many ways to measure the success of influencer marketing, any individual measurement of ROI is only a piece of the overall value. We encourage brands to spend some time identifying what is most important to their sales and marketing function, and from there, determine the platforms and tools that will help them to clearly articulate and measure the return they are getting from their spend and effort. Kim Westwood is the Founder and Managing Director of Shopping Links, a cost-effective influencer marketing platform that connects bloggers and social influencers with brands for the purposes of collaboration. A true innovator in social commerce, Kim was recently named a finalist for the Entrepreneur Award in the Telstra Business Women's Awards.